A dominating 219-run victory over England in the last ODI must have left the Sri Lankan fans wondering that is it the same team which could not even come close to winning initially and lost the series 1-3. As the ODI series moved forward, Sri Lanka stepped up while England became a bit complacent. Their performance in the 4th ODI as well was not what they are known for. In the final ODI of the series when Sri Lanka needed to win it to avoid a clean sweep, the Lankans did that in some style. Almost everything went right for Sri Lanka. They won the toss, batted first, scored a mammoth total and put a stranglehold on the English batsmen. 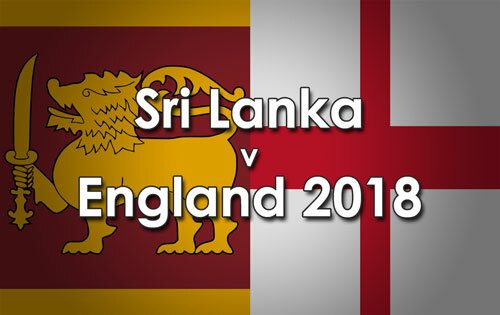 Sri Lanka's top four in Niroshan Dickwella (95), Sadeera Samarawickrama(54), Dinesh Chandimal (80) and Kusal Mendis (56) scored heavily while each of England's top four Jason Roy (4), Alex Hales (0), Joe Root (10) and Jos Buttler (0) failed. That is the game for the taking. If it was not for the lower order partnership between Ben Stokes and Moeen Ali, the game would have been over much earlier. But the partnership enured that life came a full circle and the 5th ODI too ended by means of DLS, just like all other matches of the series. There is one more noticeable factor that has come out of this match. Sri Lanka have won dead rubbers against South Africa as well. This time also they have put up a dominating performance in a dead rubber. So is it the skills that are failing Sri Lanka or it is just the ability to handle themselves under pressure? The talent is surely there. The need is just to gel together as a unit, to have a stable leadership and put up consistent performances.